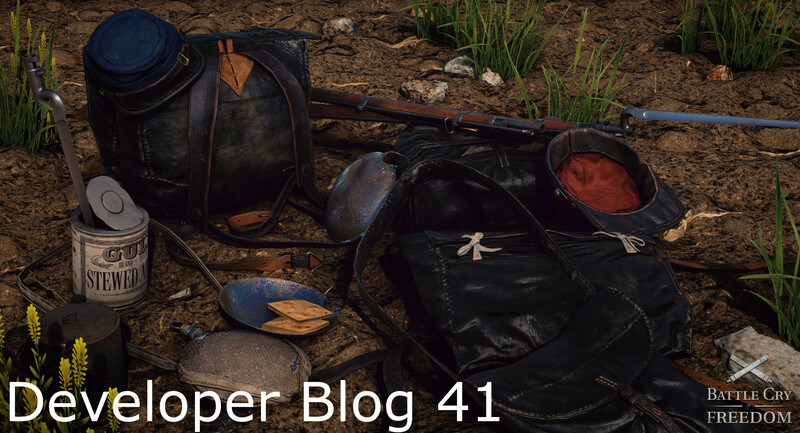 Hello and welcome back to our Developer Blog. Once again, we are incredibly sorry for the long wait times in between blogs. We are especially sorry today, for we will not have any new gameplay to show. We have been incredibly busy with a lot of background work. For example, we have updated the game-engine to the latest version and spent a lot of time recoding our entire network-engine to make it multi-threaded. All of this work is necessary to get the game running well, but it also means that a lot of time will be spent on features that we can not showcase in a blog. 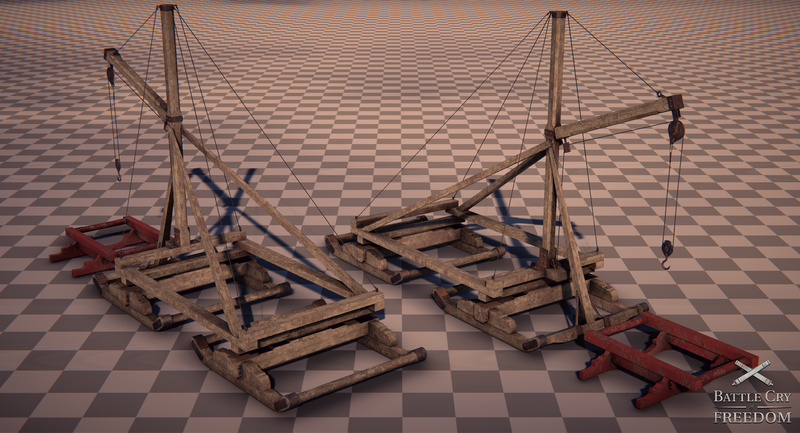 Instead we will be showing you a few screenshots of our Alphatest Map. By the way, we have just created a new Discord Server! You can now talk to us directly about the game there. 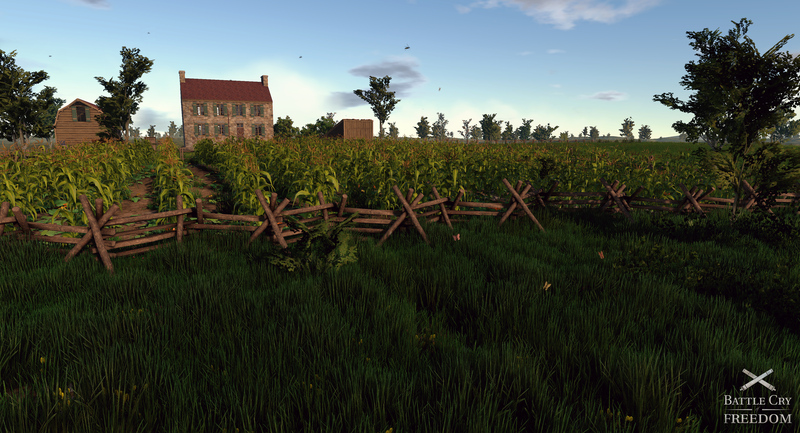 While not all of our maps are based on actual places or battles, we still try to recreate the looks and feel of the 1860s. For that reason we have created hundreds of props to fill buildings and the environment realistically. For an overview of our season and weather system, take a look here. Clicking on any image in this blog will open a high-res version of it! Before we decide to add something to the game, we find out if it is even plausible to have in the first place. Most other game developers do not do this and just do whatever they feel like "Because most people won't know or notice". However, we believe that while most people do not know if something is period correct, subconsciously they would still notice that something is off. As such we also try to place stuff together in a realistic manner. We do not just randomly place stuff on the map. For example a sorghum press means that there must be a sorghum field close. 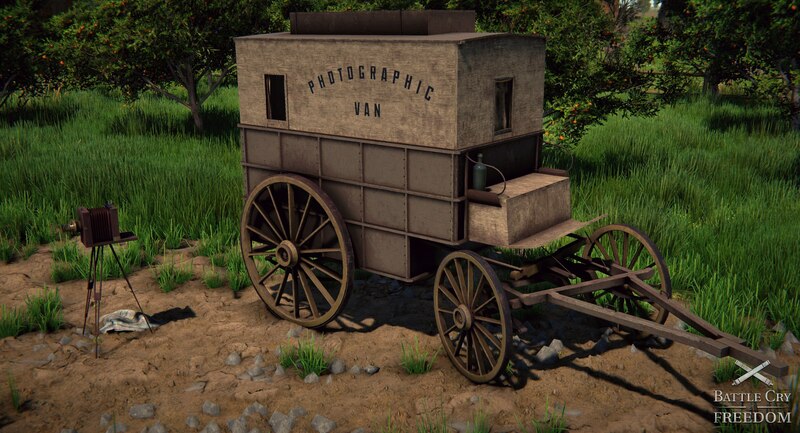 In order to get the props as historically accurate as possible, we spend a lot of time doing research on the props we need/want to have in the game. Sometimes this is quite difficult, as we often have no idea about the subject ourselves and have to literally start from scratch. All our props are based on historical photos, or surviving originals. However, sometimes it is extremely difficult to find information and as such we have to make an educated guess. Often times we randomly find the information a month or two later, but at that point the models and textures are already made. 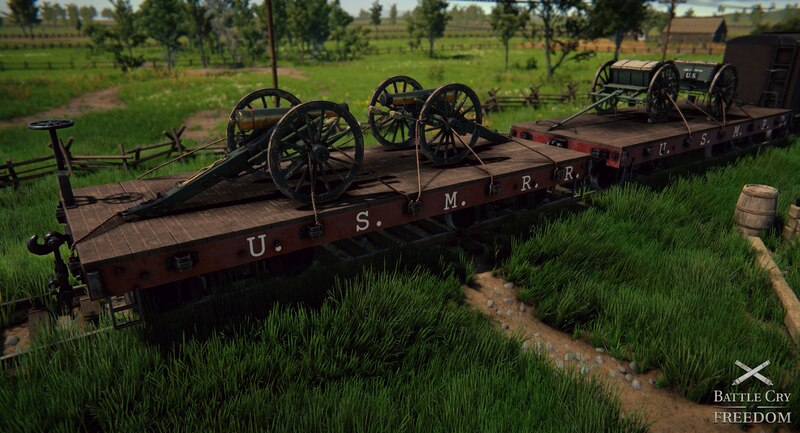 For example, the train below has the wrong mechanism for connecting wagons with another. All these mistakes will be fixed eventually, but obviously small mistakes are not top priority on our to-do list. Many of the scene props we create have a gameplay element hidden behind them. 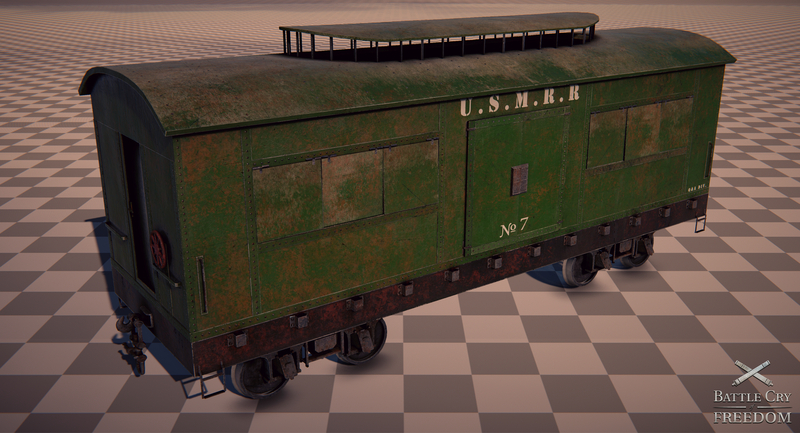 The train above is part of a set of train models that we plan to use as (movable??) capture points. 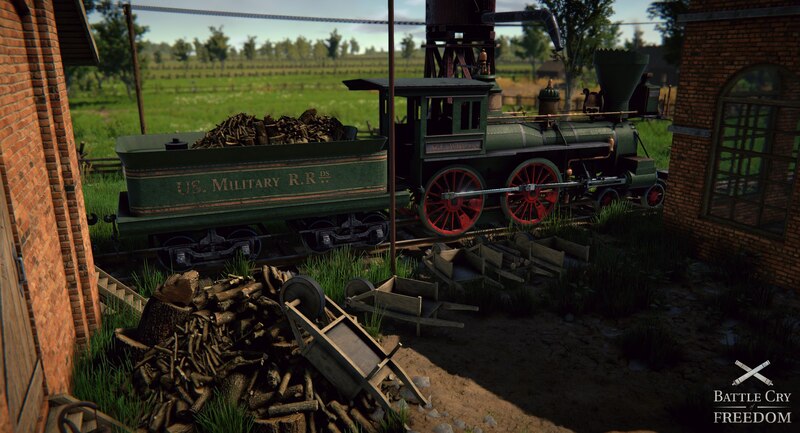 Here are two more screenshots of some of the cool train models we hope to integrate on some of our other maps. 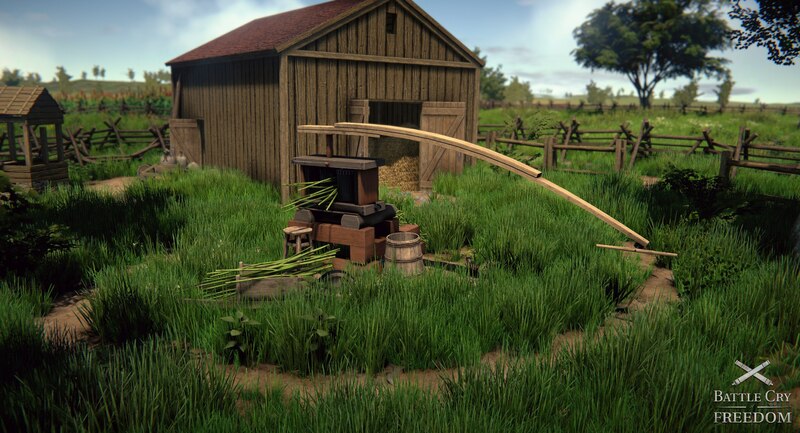 And as a (pretty bad) excuse for not being able to show you any new gameplay for such a long time, here are a few more screenshots of some of the cool scene props we have been working on recently. 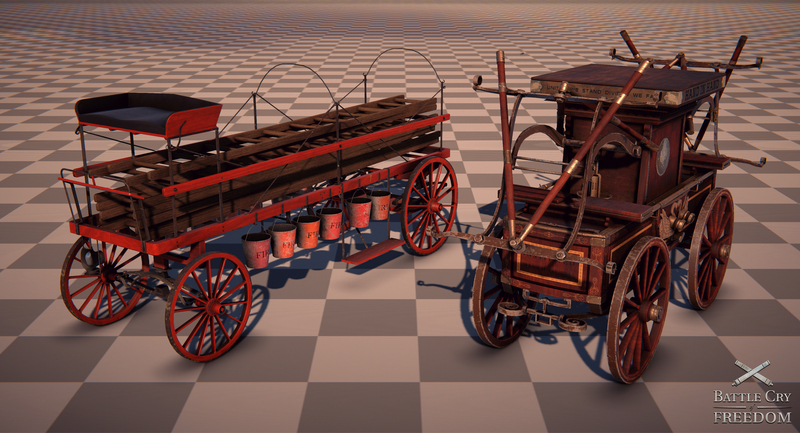 Here is a screenshot of an historically accurate fire engine and ladder-wagon. 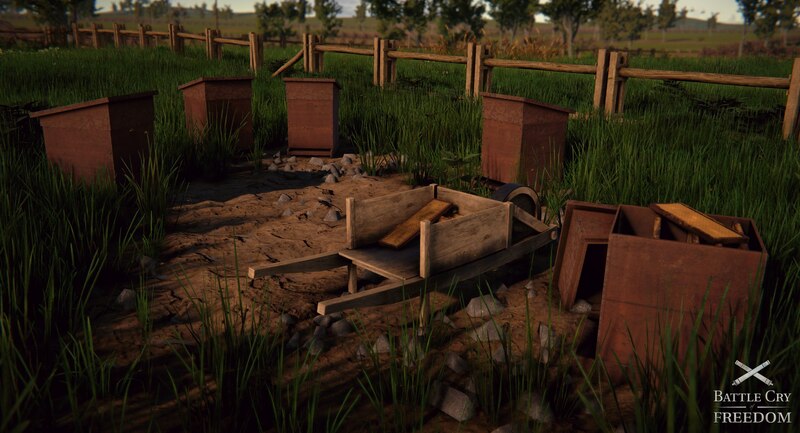 Some of you might remember that on many of our maps in Napoleonic Wars, we featured logging camps. However, these were poorly researched and poorly implemented. Logging was, for obvious reasons, a very important task back in the day. 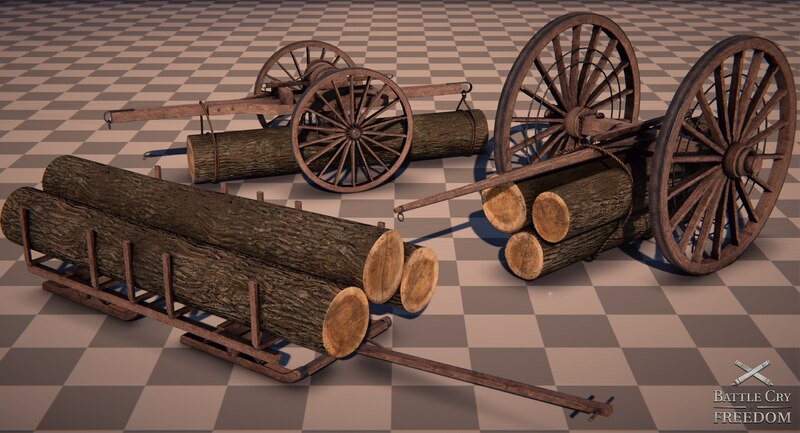 As such we have created several historically accurate sling carts and sleds, as well as a logging crane on a wooden sled. 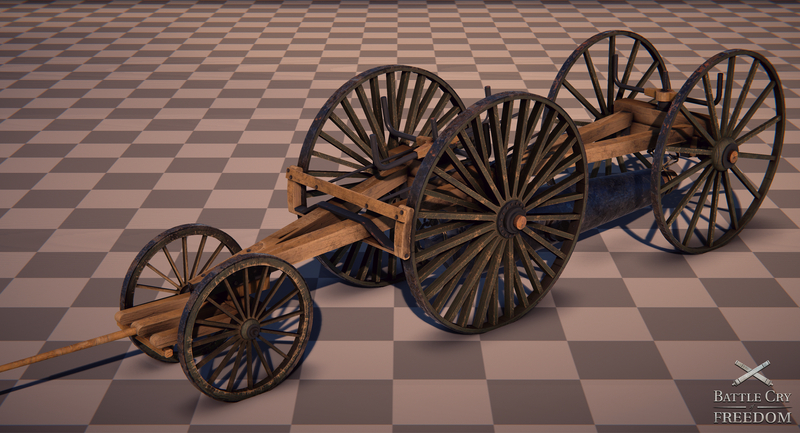 Staying on the topic of sling carts, to fill up siege and camp scenes, we have created a bunch of historically accurate scene props. The first screenshot shows a whole bunch of US issue cups, boilers aswell as a few sutler products. 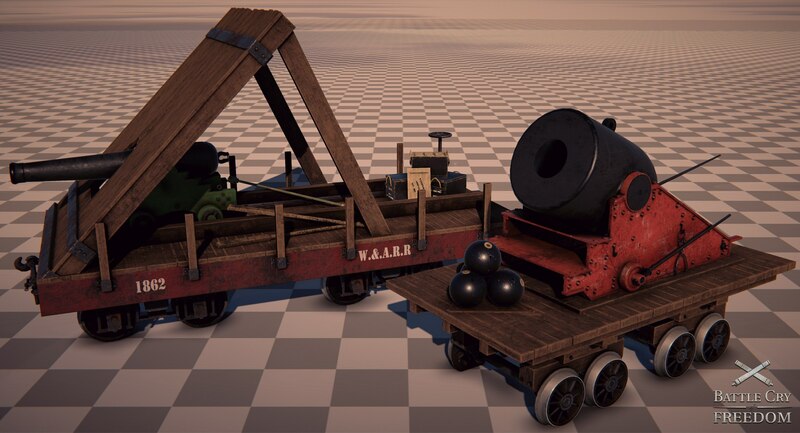 The 2nd screenshot shows a federal sling cart, used to transport extremely heavy and large cannon barrels of some of the larger siege guns. 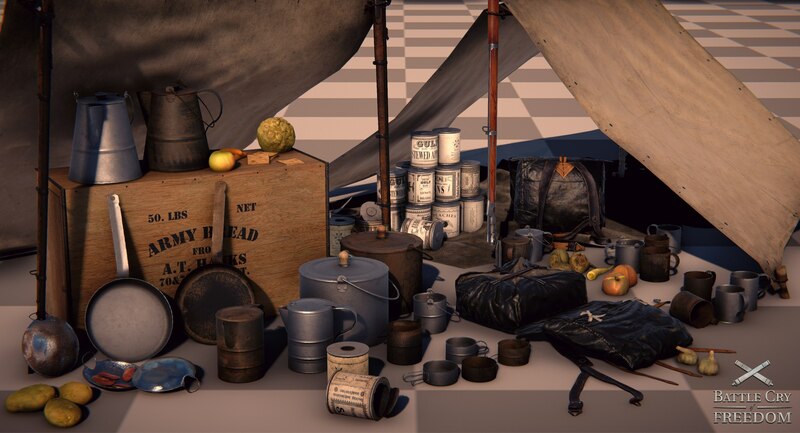 With over 500 different props in the game, we obviously can not show you all of the scene props at once. Butwe hope that we have shown you some of the more interesting scene props that you have not seen in previous blog before. 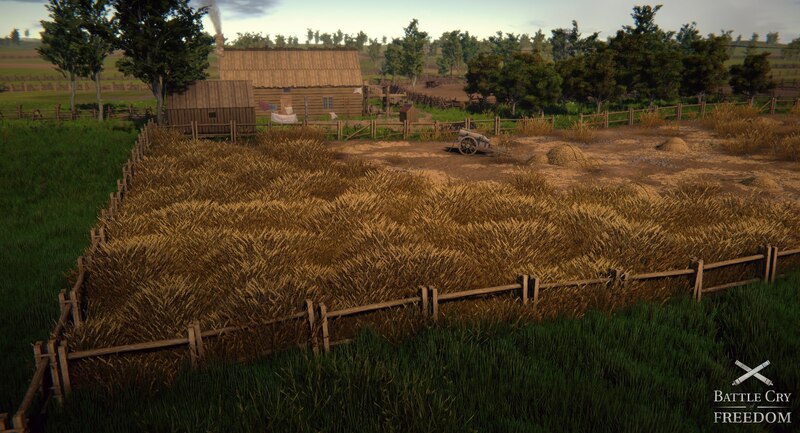 We also hope that you enjoyed the look at one of our first maps. Thank you all for reading this blog. 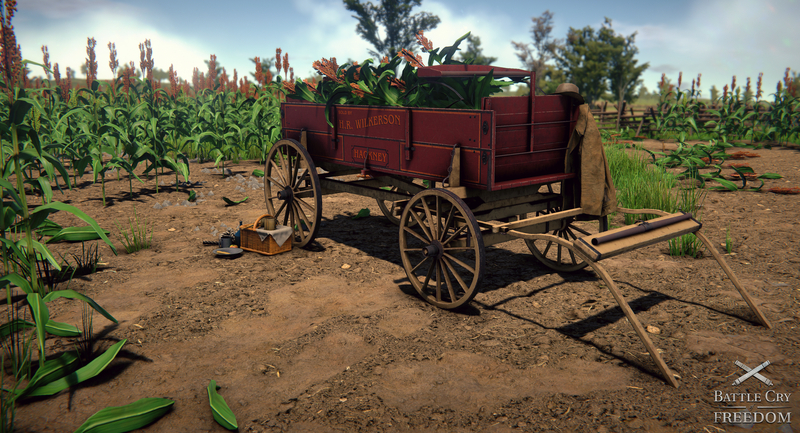 We hope that we can come back to you with some gameplay very soon!